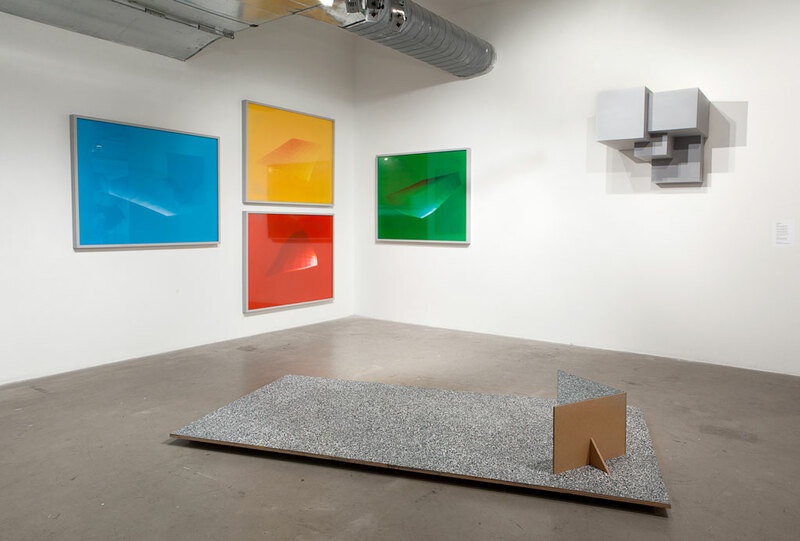 View of an Assaf Evron installation at Sullivan Galleries in May 2013. 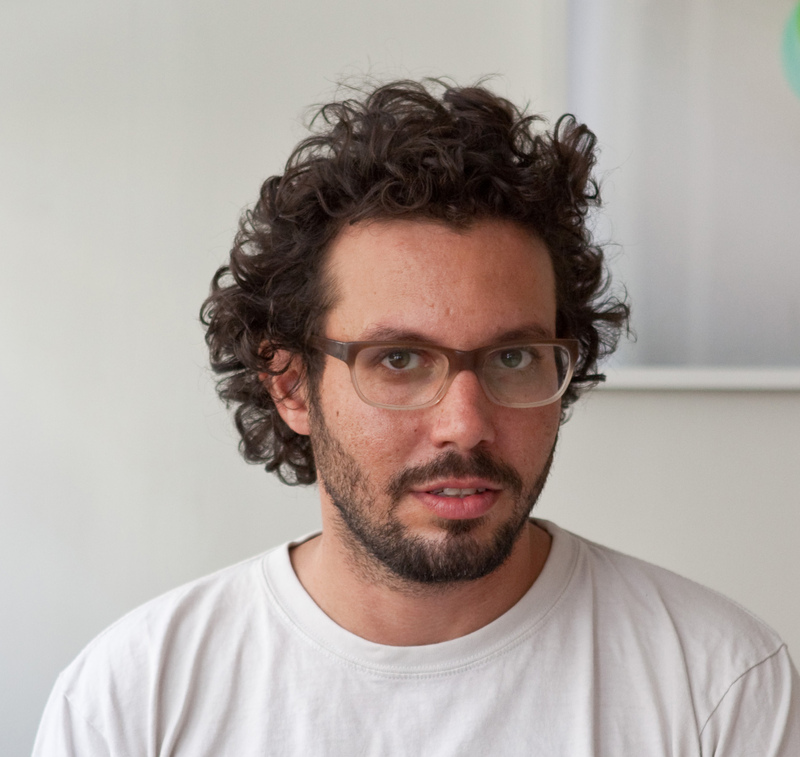 Israeli artist Assaf Evron’s arrival in Chicago came about largely by chance. While doing a residency in Richmond, Va., he made a trip to see friends here in Chicago, saw the city and the School of the Art Institute, and was sold. Three years later, Evron has not one but two shows opening this weekend. He’s the latest artist to produce a bumper sticker for the mobile art exhibition Trunk Show. And he has a sculpture in A Study in Midwestern Appropriation, a new group show opening Sunday at the Hyde Park Art Center. Evron said the biggest excitement came from the sense of distance he felt in Chicago. In part that was due to the changed physical landscape, one he didn’t feel entirely comfortable photographing. Like what you’re reading? Help support WBEZ by making a donation today. That move in turn allowed Evron to feel liberated from what he’d done before. The works in both of Evron’s shows this weekend reflect that shift. For Midwestern Appropriation, Evron re-made a wall ornament that’s on display in the Egyptian embassy in Tel Aviv. The three-triangle stone design of the original is supposed to signify the pyramids. But Evron turned to something a little closer to hand, common split-face block, a material familiar to anyone who witnessed Chicago’s condo explosion in the early oughts. Trunk Show involved something more formal. Each month curators Raven Falquez Munsell and Jesse Malmed ask one artist to design a bumper sticker for their 1999 Ford Taurus. Evron said doing something political or reactive, the typical terrain of the bumper sticker, didn’t feel right in Chicago. So he created an abstract design, using halftone gradients, that plays with the resemblance between the Taurus car symbol and the planet Saturn. Though politics remain at a distance in Evron’s work, he says they’re not completely absent, if only because of the way he reflects on and engages the specific materials and context of the place he works in. Evron said he’s not finished working in Chicago, even though he completed his MFA this year. Trunk Show is in Chicago’s Eckart Park Sunday from 1-3 p.m.
A Study in Midwestern Appropriation opens at the Hyde Park Art Center Sunday from 3-5 p.m.